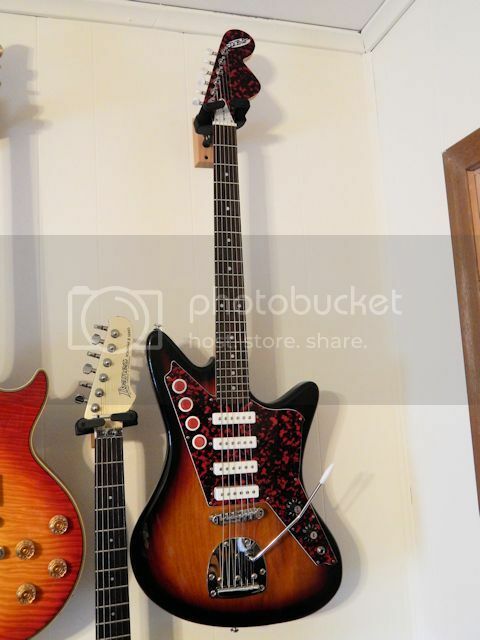 I saw these guitars in a side bar while looking at something else. The whole web site is pretty cool. There are video sound clips of reviews on the site. I was impressed with the G4 and the Belvedere. Sounds cool. Check it out. Plenty of other retro guitars around, including Eastwood. Yes, I saw the Airlines a while back and they are super cool looking. They remind me of the look bender was looking for with the pawnshop models. I used to own a belvedere standard (before they made the whole front out of pickguard material and put a bigsby on them), but sold it a while back during my adventures in employment phase. I really liked it. I now own a Galaxy 4 and it is a terrific guitar. I think it was made in Korea, but it does not say anywhere on my guitar. Could be made elsewhere I suppose now, not sure - can't find the info anywhere. Great and unique guitars. Not a cheap guitar and totally gig worthy without upgrades - although I did put different mini humbuckers in my belvedere (but hey, I do that with almost any guitar). 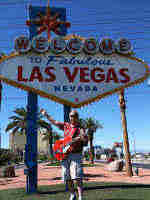 Check out the Musicvox guitars too. Wacky cool! Looks like the guitar melted or was ran over in a Road Runner cartoon. Thats cool man, I like it. What's the point of these? Electra's are well built in japan and are vintage those are not. I like it, and that's all the point I need. But I have more reasons. They are very well built quality Korean guitars, good pickups, good hardware as well. They are not copies of anything - so that is kind of nice. I can get 16 pickup combinations with the 4 pickups. The tremolo goes up and down, has light action and stays in tune well. Resale is good too - I won't have any problem selling it and getting all my money or more back out of it. Many people think the same way about electras but they can go on thinking that as we buy them. I used to be a Gibson or nothing guy. Then I had a 3 year Electra or nothing phase. Shortly after, I opened my mind and now think, if it plays, if it sounds good, if I like it...buy it. Variety is the spice of life. I have friends that are vintage Fender snobs, Vintage Gibson snobs, Electra snobs...I have the best of all worlds. My mind is open to any guitar that feels right at the time. As for holding their value, there's no guarantee of that with any guitar. At one point, 1959 Les Pauls topped out at $450,000.00 and 50's strats fetched 60-70K a piece. Now '59 Les Paul's can be had for under 100K & I've seen 50's strats for under $15,000.00. Even my 1981 Heritage 80 that was once commanding $3500.00 would be lucky to fetch $2500.00 today. Lots of people have lots of opinions on what the perfect guitar to own and or invest in. My take on the guitar "market"? The only thing that truly matters is the guitar that makes YOU happy today. I totally get that. I saw A video for a reverend model with lipstick pickups and it blew me away. They don't make it anymore I'll try and find the model and post it. Reverend Spy? Like the Rocco but had lipstick pickups. I had a Rocco once (same guitR with PAFs. Mine had a weird metal top though and no the Formica- like stuff which I would have liked better. Mine Looked cool and sounded just ok because of the metal top. That's it the reverenced spy they definitely have a unique sound. Due to the fact they've been discontinued I see the prices climbing. Not just that but the old reverends were US-made - mine was an "Eastpoint" Michigan one. I would not mind getting a rocko - they had a version with P90s also that was very nice. The spy was US made. The new ones cost about the same but are not made in US - probably made in Korea but don't quote me on that because I don't know the specifics. Joe Naylor is the guy behind those guitars as well as the Naylor amps and speakers, and reverend amps, as well as rail hammer pickups. I just put a rail-hammer chisel set in one of my deans. Pretty good. Joe is a talented guy. I don't know him personally, I say that because of my experience with his products has been favorable.